Happy Monday and happy May, everyone! I took an unplanned blog and social media break at the end of last week to catch my breath, refocus, and recharge just a bit. This weekend was incredibly busy - work, baby shower and chaperoning prom on Saturday. It's really hard to believe that I'm getting ready to have this first year in a high school under my belt. If only I would've kept a record of the crazy things that have happened! Above are few of the things that I'm really loving and looking forward to this month! 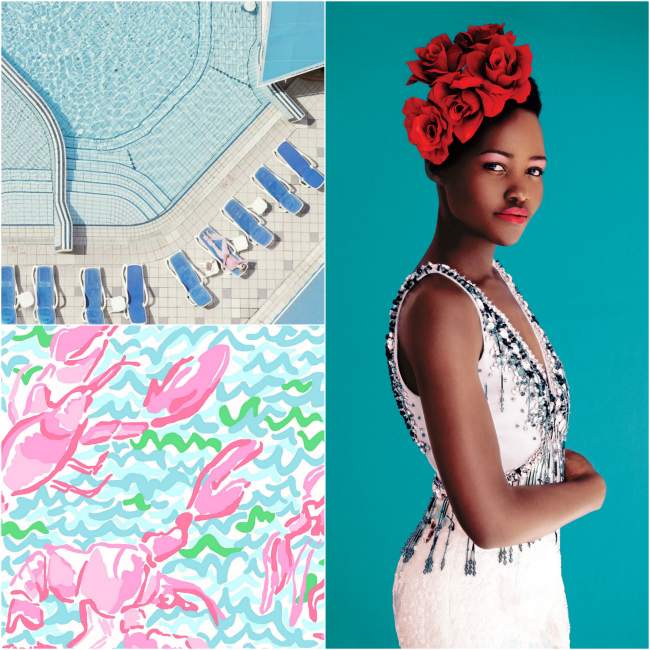 I always welcome unapologetic brights and pastels this time of year - new Lilly and citrus-inspired prints included! 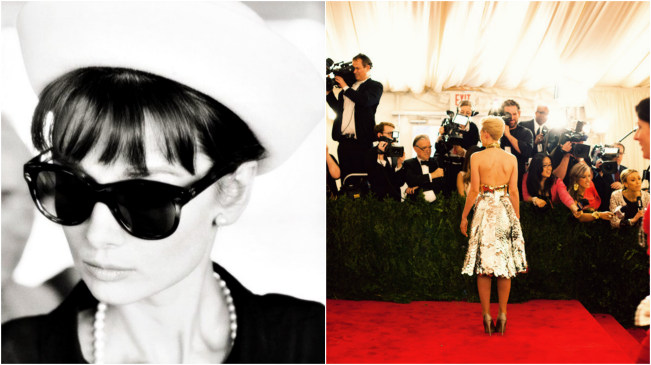 Yesterday would've been the lovely Audrey Hepburn's 85th birthday, so course I had to include that in my round-up. I'll also be following along tonight with the coverage of the Met Gala - one of my favorite events of the year! One of my favorite photographers, Jamie Beck, is actually taking over the Met Museum's instagram. Wishing you a really wonderful week ahead! Happy Weekend Julie! 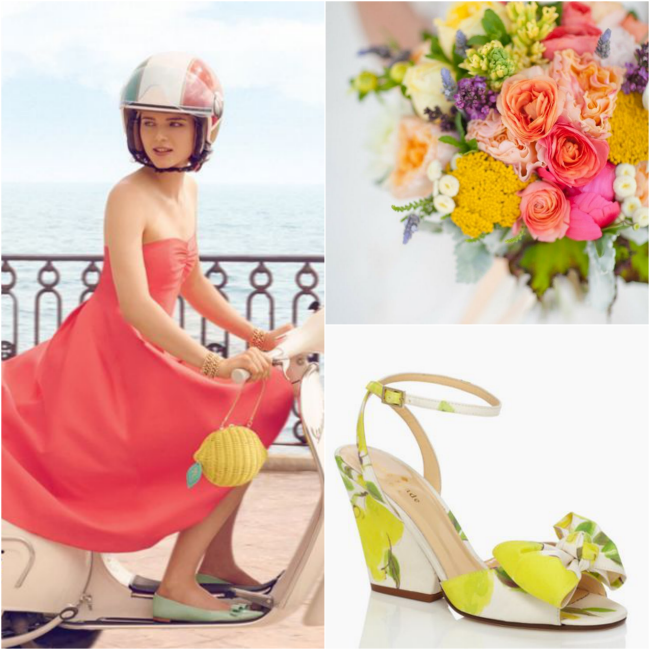 Yay for spring and all the bright colors it brings! That image of the pool is my everything this month!! I love it. There is something art deco about the design... Just perfect.